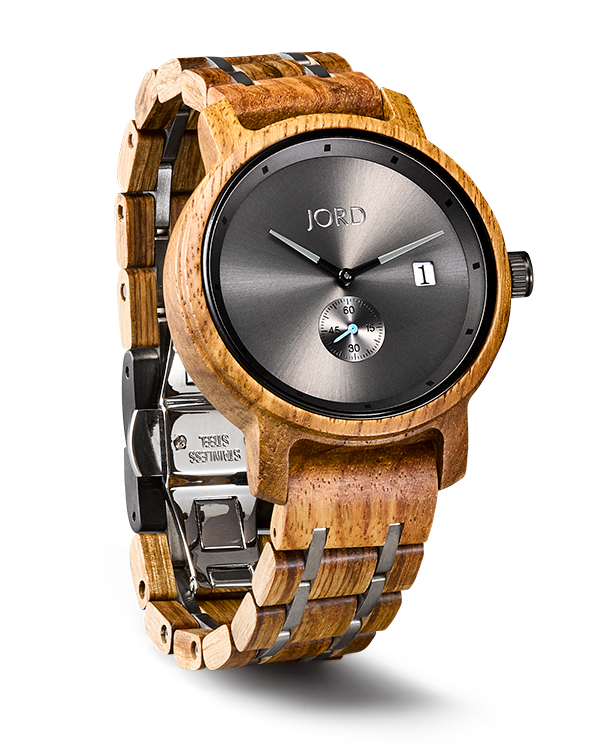 JORD timepieces & watch bands have been hand crafted from natural materials. We pride ourselves in delivering exceptional design and superior quality with every piece of art we produce. Our exchange, repair, and return programs are outlined below along with our RMA request form. If you want to see our long-winded write-up, visit our FAQ page. Want something else? Need to save your money for a new bicycle? You wanted the Zebrawood instead of the Ebony you bought? We will exchange your timepiece or band free of charge. We just ask that you cover the shipping fee back to us. Took you a while to change your mind? No problem, we will exchange your timepiece/band or refund your order (less any shipping, customization, engraving, & sizing fees). We will charge a flat 15% restocking fee and ask that you cover the shipping fee back to us. Our watchmakers are standing by to take care of your beautifully aged timepiece or band. We will simply charge you the small repair fee and ask that you pay for shipping back to our repair facility. Original order details	Please provide your email address. We were unable to find your original order. Please let us know how you obtained your timepiece or band. What is the email address of the person who gave you this gift? Leave blank if you do not know. Where was it purchased? Leave blank if you do not know. What was the original JORD Order Number (ex: JWA-123456789)? Leave blank if you do not know. Return details Please let us know about the timepiece or band you would like to return. If applicable, please upload a picture of your watch that will help our staff identify the reason for this return. Which product would you like to exchange for? IMPORTANT INFORMATION: ALL EXCHANGES AND OUT OF WARRANTY REPAIRS: Please ONLY send us the watch back. Please do NOT include the original box or accessories. Additional return shipping fees will apply otherwise. Our team will get started on your request right away. We will be in touch!